Since Pokemon: Let's Go, Eevee is, in more ways than one, a revamped remake of Pokemon Yellow, it was expected that a number of core aspects of the original game would continue to be in place. 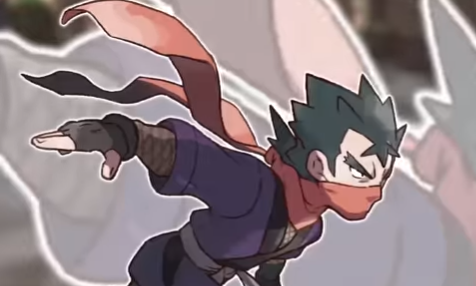 One things most fans expected to remain the same was the original Kanto Gym Leaders, and this appears to be so with the confirmed return of Koga as the Fuchsia City Gym Leader. Even though it has yet to be revealed what Pokemon (and at which Levels / Combat Power) Koga will own in Pokemon: Let's Go, Eevee, many expect him to have the likes of Koffing, Weezing and Muk in battle with him. These are the same Pokemon he had in the original First Generation Games (as well as the later remakes of such), and one should expect and prepare to face these same Pokemon. However, it is also possible that Koga will merely own a couple of Venonat and one Venomoth like he did back in Pokemon Yellow. Either way, Koga will own nothing but Poison Type Pokemon.